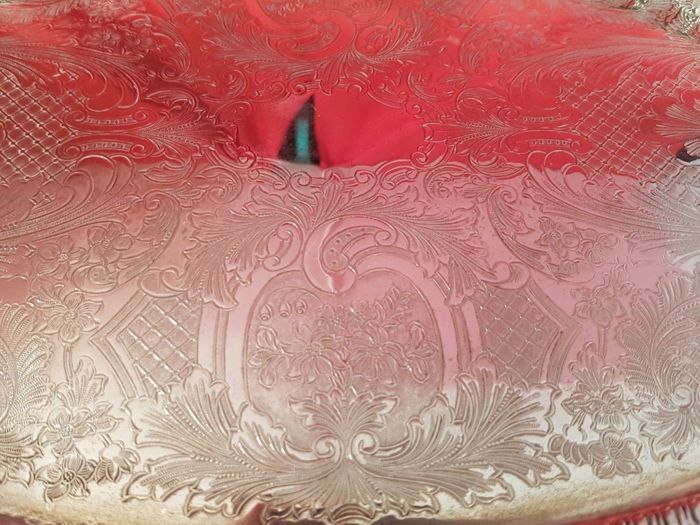 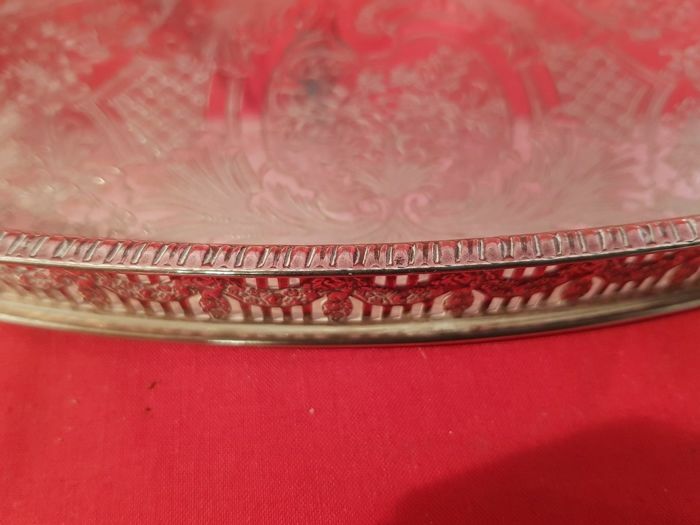 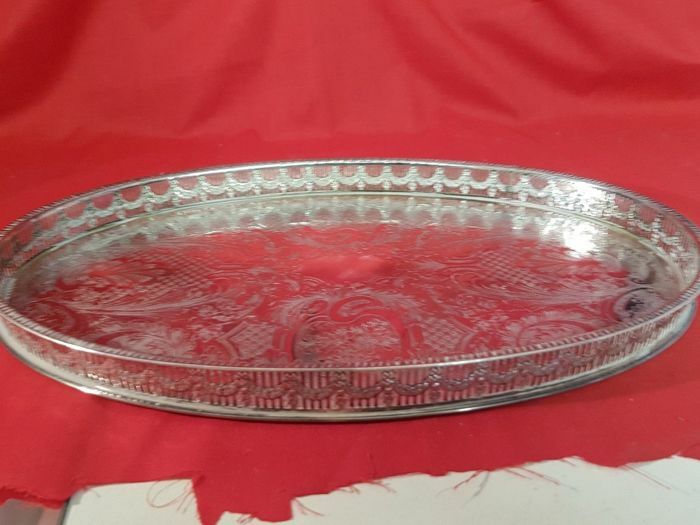 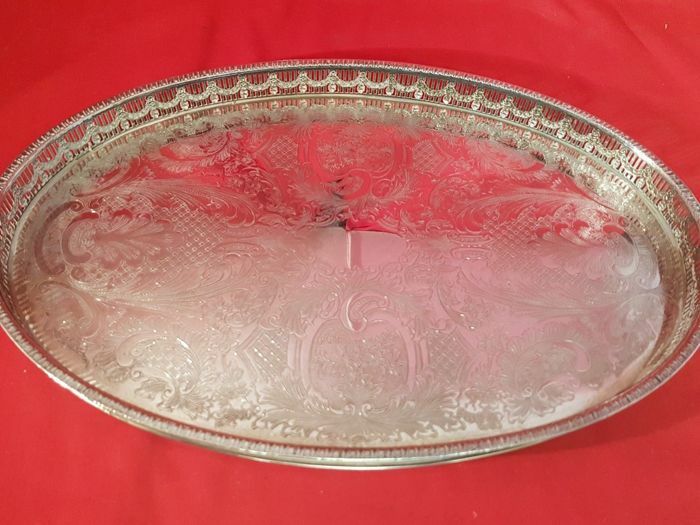 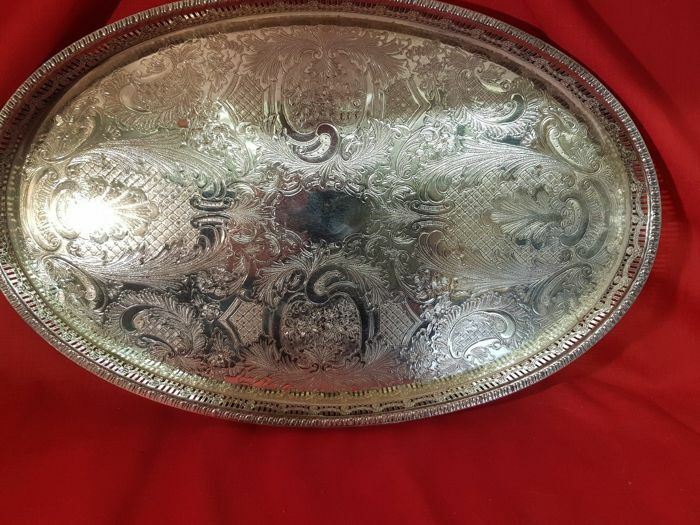 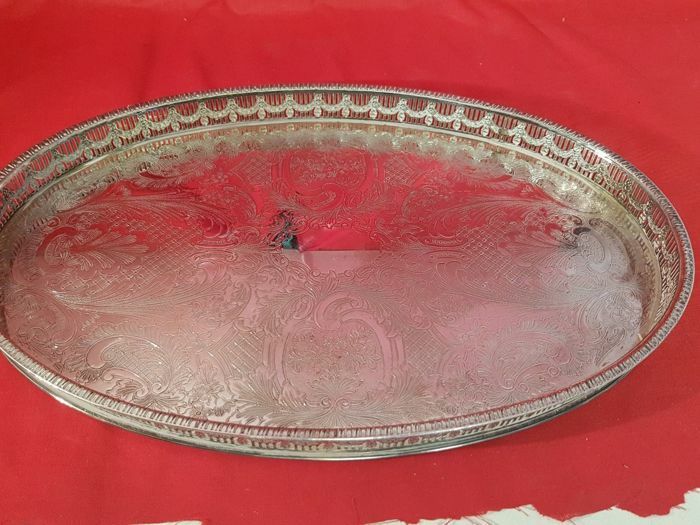 Lot 613 - Large silver plated Tray decorated with an openwork around the edge, by Haseler & Restall of Sheffield. 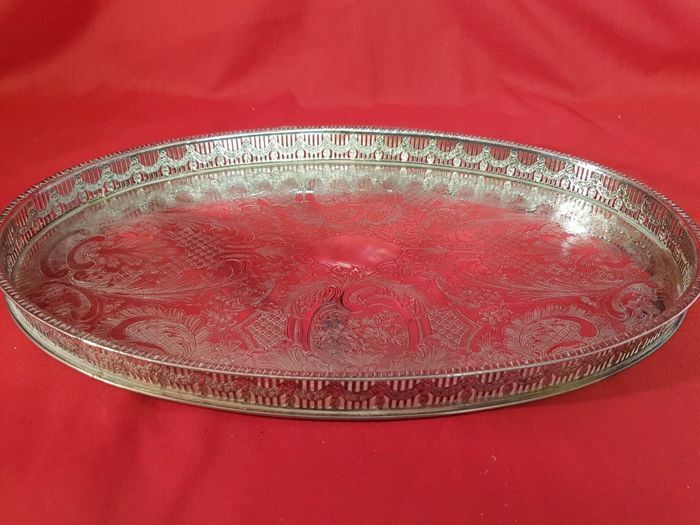 Tray dimensions: height 3 cm, length 24 cm, width 40 cm. 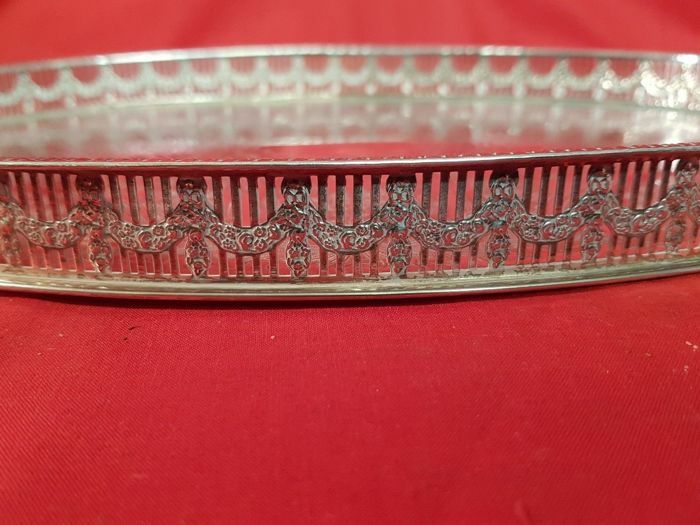 A railing with an elegant openwork decoration and beaded motifs runs all around the tray. 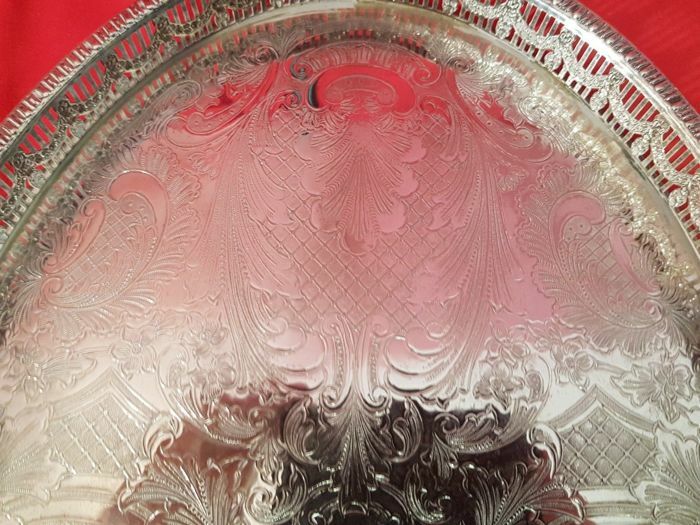 The plate shows a nice decoration with scrolls and flowers, and a blank cartouche in the middle. 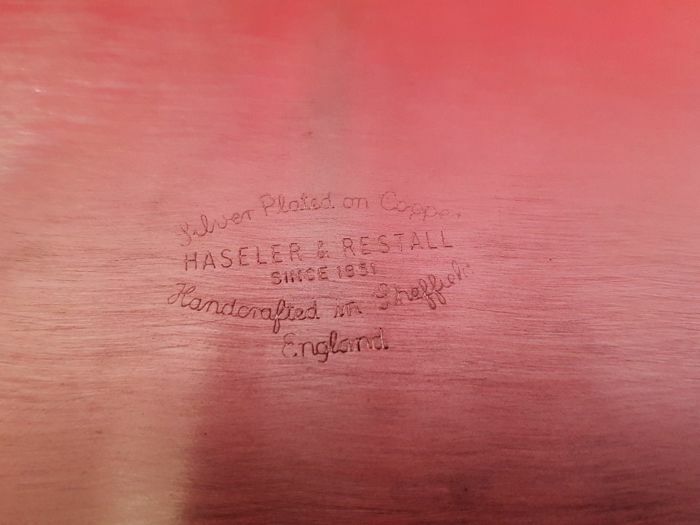 Marked underneath the base: Haseler & Restall of Sheffield. 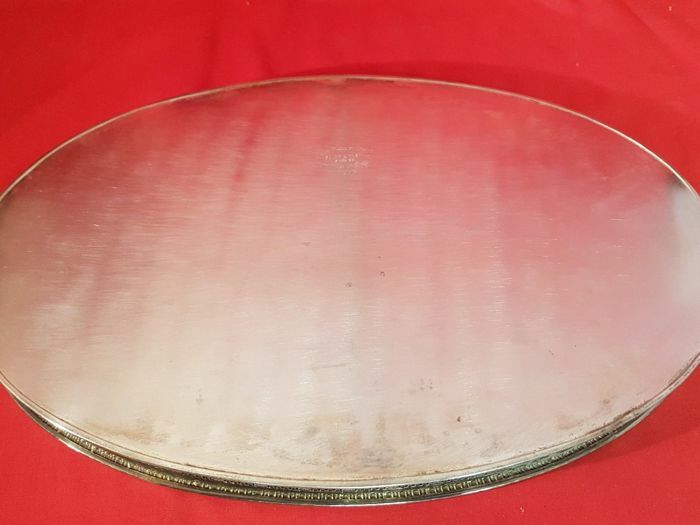 In good condition with minor signs of wear on its base. 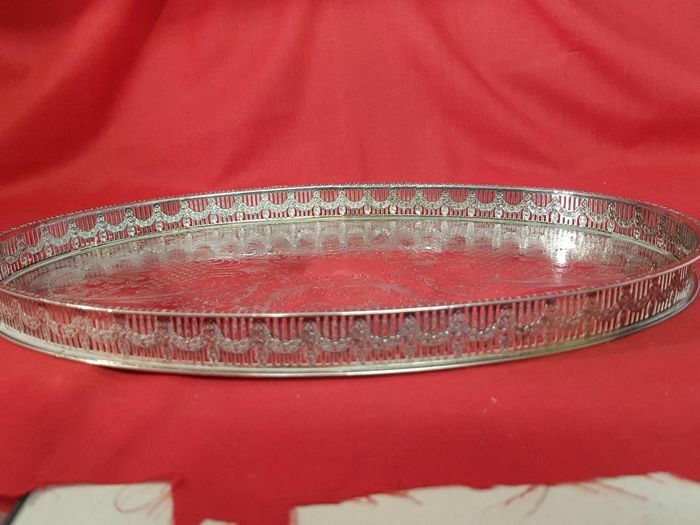 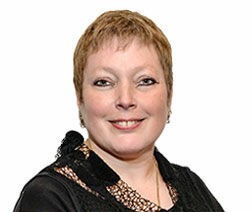 Please, look at the photos which are an integral part of the item’s description.